Cleveland Bridge UK has appointed experienced finance professional Phil Heathcock to its executive management team to support the ongoing development and growth of the company. Joining as chief financial officer and company secretary, Phil has 25 years’ finance industry experience, including at Senior Level across a range of sectors including engineering, oil & gas and pharmaceuticals for a number of established and growing businesses. Phil is a well-known member of the North East business community having begun his career in Tees Valley, training and qualifying to Association of Chartered Certified Accountants professional standards. His first role in industry was with NAAFI before becoming financial controller at Whessoe Oil & Gas during a period of significant growth. He subsequently held finance director roles with prominent North East businesses including Tekmar in Newton Aycliffe and Subsea Innovation in Darlington. In addition to managing the finance team at Cleveland Bridge, Phil will contribute to the strategic development of the business as part of the wider executive management as the company looks to strengthen its position in UK and international construction markets. 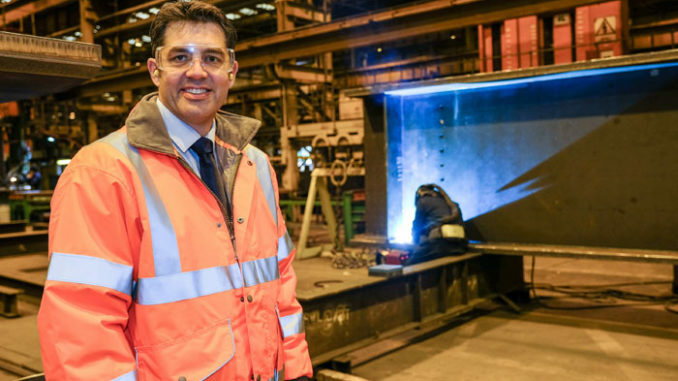 “I am very pleased to have been given the opportunity to join a company with such a long and successful history as Cleveland Bridge,” said Phil. “In recent years the company has re-established itself as a major player in the construction sector, in the UK and globally, and is well positioned for the future.